Notice: This data set and guide were updated on June 30, 2014 to correct an error in the reported units. The data values were not changed.Spatially-gridded estimates of above ground biomass (AGB), net primary productivity (NPP), and net ecosystem productivity (NEP) are provided for forested areas of the conterminous United States (CONUS). Estimates of uncertainty are also provided for AGB and NEP. These data were derived by using Forest Inventory and Analysis (FIA) data to constrain forest growth rates in a Carnegie-Ames-Stanford Approach (CASA) carbon-cycle process model. Note that the data set does not include data for forests in the Northern Prairie States region (NPS; see Figure 3). 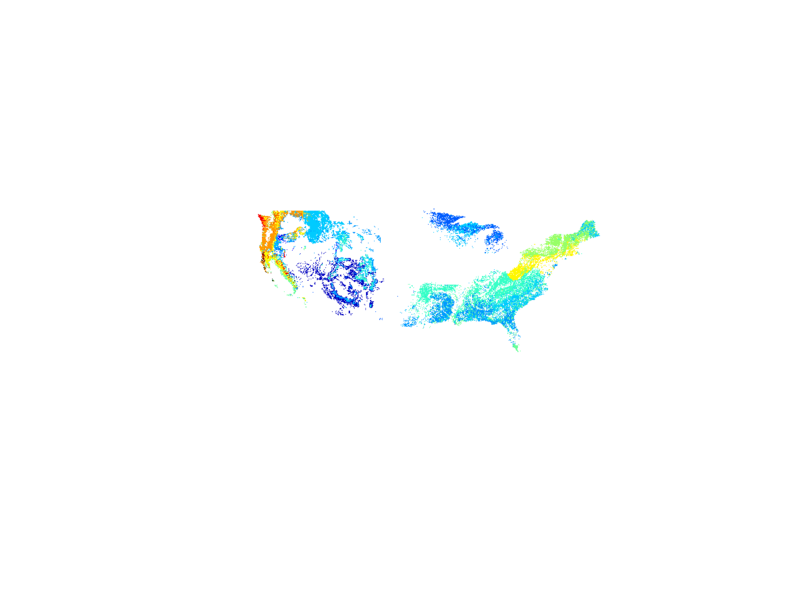 These data provide a detailed estimate of carbon sources and sinks from recent forest disturbance and recovery across regions and forest types of the US.The data are presented as a series of ten NetCDF v4 (*.nc4) files at two spatial scales (1-degree and 5-km spatial resolution) for the nominal year of 2005. Archived by National Aeronautics and Space Administration, U.S. Government, ORNL_DAAC. https://doi.org/10.3334/ORNLDAAC/1221. Collatz, G.J., C. Williams, B. Ghimire, S. Goward, and J. Masek. 2014. CMS: Forest Biomass and Productivity, 1-degree and 5-km, Conterminous US, 2005. ORNL DAAC, Oak Ridge, Tennessee, USA. http://dx.doi.org/10.3334/ORNLDAAC/1221.